1. Is the LED flashing when either button is pressed? If no first check that the battery in Key card is ok, see picture. 2. Is the LED flashing with both buttons? 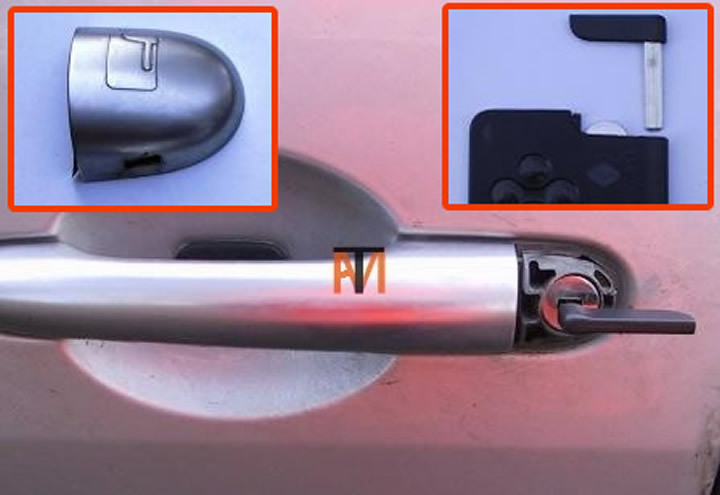 If yes unlock car with the emergence key, this is in the Key card, it just pulls out see picture, you will now need to remove the plastic cover on the passenger door handle to insert the key and unlock the car. Now turn on the lights to see if the battery on the car is ok, it is probably flat and needs jump starting, see section on Flat Batteries. 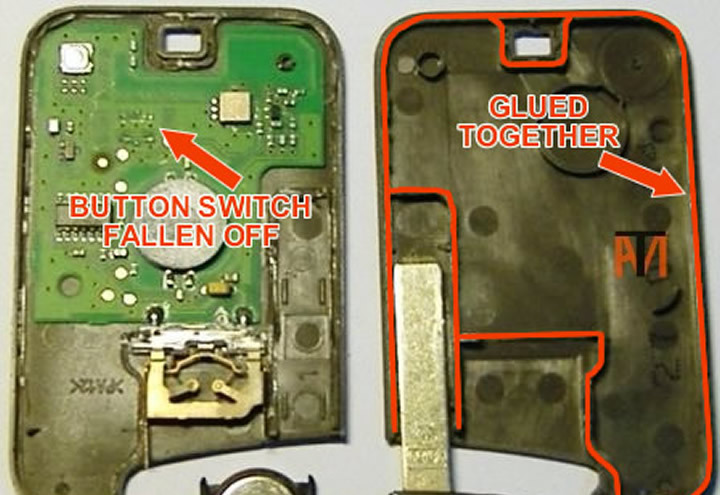 3.If the LED is flashing when only one button is pushed, you have a bad connection in the Renault key card, this can be repaired. If you can use a soldering iron and a Stanley knife you can repair your Key card. 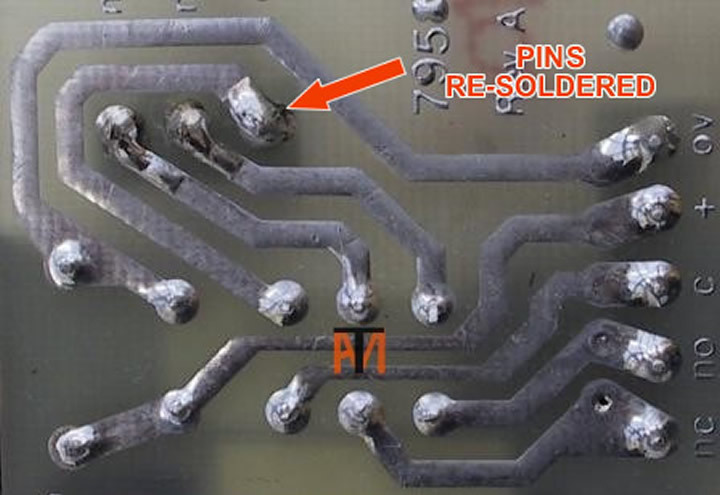 The first job is to separate the two half’s of the Key card, these are glued together (see orange line on picture) and require careful use of a Stanley knife on the joining ribs, take your time or you will cut your fingers or damage the circuit board. Now you have the Key card apart, your next step is to cut under the battery clip to separate the circuit from the case, then you can examine the board for loose buttons and cracked solder joints, see examples of repairing circuit boards(key card pictures blurred), If the switch has fallen off it must be soldered back on the correct way round, this can be checked to see if correct, by holding the button and battery in position and testing (note if wrong way around, LED might be on all the time). 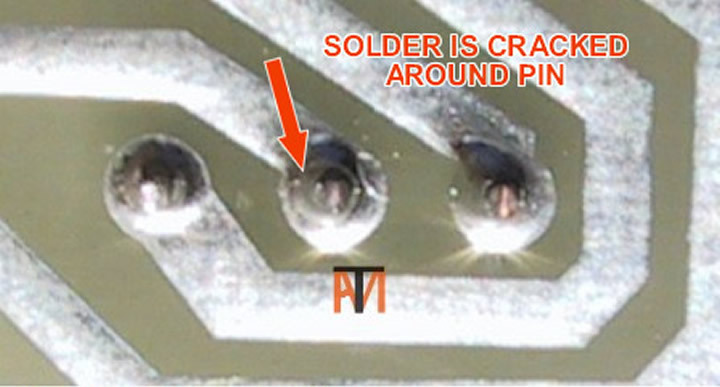 Now with a steady hand and a magnifying glass, re-solder the switches to the board, you want a small bead of solder on each pad. Re-test and if working correctly, clean up the case and battery clip and refit the board, applying a drop of glue to the battery clip before, gluing the two half’s back together. Do not buy a second-hand card, they are vehicle / VIN specific, cannot be reprogrammed and will definitely not work!